10 layer pig skin black tip with a clear layer that requires less glue resulting in less absorption giving you more consistency and more perfect alignment. Made in Japan. 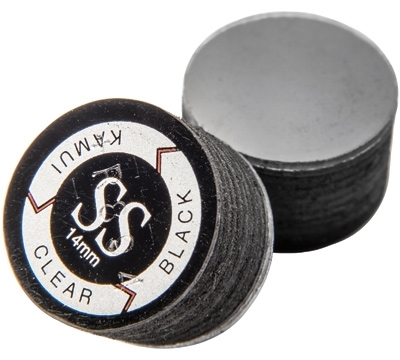 14mm.